Gears of Halo - Video game reviews, news and cosplay : How well do you know your Halo history? Found an interesting article that speculates on some things that may or may not happen in Reach - it's presented by IGN as six things you may not know about Halo. I think I may know more than six things about Halo myself... How well do you know your Halo history? During the Spartan II project on the planet Reach, some candidates did not fare well during the augmentation process. One of these was Soren-066, who was made incredibly strong by the enhancements fed into his body, but also left irreparably deformed. Soren was rejected by the Spartan program and left to a desk job. His feeling of uselessness and resentment lead him to join insurrectionists in a plot against the UNSC. In the chaos that follows, Sorren escapes a UNSC camp, but is shot down over the forest. Because his body is never recovered, its possible that he continued to live in the wilderness of Reach. In one of the short stories from the Halo Universe we briefly encounter a group of Elites, or Sangheili, that use red energy swords and wear complete sets of armor, including full face guards. This equipment appears to be reserved for the special-forces wing of the Elites and is described as easily detecting and taking down cloaked Spartan IIIs. Whether or not there is an official class of Elite soldiers above the golden-armored Elite Zealots that appeared in the other Halo games remains to be seen. We'll likely find out this fall. To quote my main man Marcus Fenix, "Bring It!" Cigar-chomping Sergeant Major Avery Johnson is perhaps the best known Spartan I, and of course Master Chief is the ultimate hero of the Spartan II program. 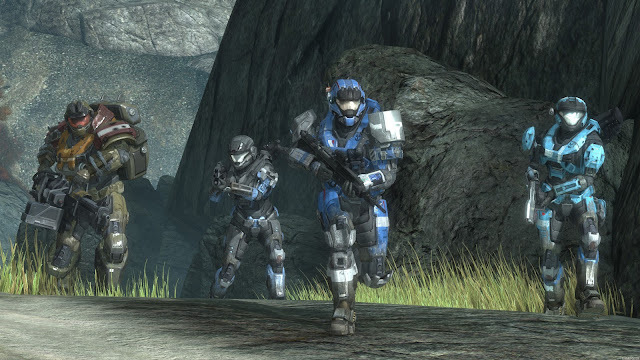 However, we still have yet to experience the very different Spartan IIIs in a game. What we do know is that the Spartan III program was initiated without the knowledge or consent of Dr. Halsey, who devised the Spartan II recruitment parameters. While taking in eligible candidates the psych profiles were pretty much ignored. This means that Spartan IIIs are more likely to fight through an impossible situation, or take on a suicide mission. It also means that some of them are slightly off-kilter mentally. Spartan IIIs are also outfitted with experimental technology. We've already seen armor powers like the hologram drop, jet pack, and sprint. The books also allude to upgraded visors that have improved zoom and vision modes that can detect camouflaged Elites. All but one member of Noble team in Halo: Reach is a Spartan III, so we'll get up close and personal with the latest UNSC fighting machines very soon. Before the arrival of the Covenant the humans were involved in a civil war between the inner and outer colonies. One particularly fierce group of insurrectionists disappeared after a number of encounters with the UNSC. They returned on one occasion with heavily modified craft to aid against the Covenant. The best guess about the goals of this splinter cell of humans is that they are establishing human existence outside of known space to ride out the war and the threat from the Flood. There's a long-shot possibility that Admiral Cole (the originator of The Cole Protocol) managed to escape death in his final confrontation with the Covenant and has joined this group. Woah - that's really getting into the speculation! Dr. Halsey is the genius responsible for the Spartan II program and the woman behind the existence of Cortana. She made the AI in her own image and like all "smart" artificial intelligence systems Cortana is capable of expanding her abilities and knowledge base. However, after a period of seven years she will amass too much knowledge to properly index all of it and will shut down. This is called rampancy and effectively signals the death of an AI. 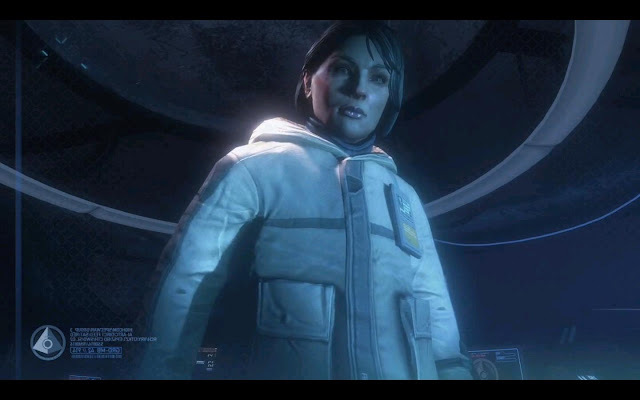 While interesting, I'm mote sure how this is relevant for the Reach game itself - as Cortana is sweet as for the other Halo games... well except for that meltdown she had with the Gravemind! During the battle of Reach there is a critical mission led by Master Chief to secure data from a space dock just above the planet. The Chief is joined by a small team of Spartans in accomplishing this task just before he escapes aboard the Pillar of Autumn and lands on the original Halo from Halo: Combat Evolved. One of Bungie's big unveils at E3 2010 was space combat, indicating that running into Master Chief is a distinct possibility as the battle on Reach rages on the ground and in the air. Feeling amped? Get your copy of Halo: Reach from Amazon.